We’re heading off to kids’ paradise, akaÂ Camp Bestival, next week and I know lots of you are too, so in preparation I’ve put together a checklist of things you might need for festivalling with under-fives. For younger children, or those who tire easily, a back carrier is ideal. It gives them a good view of everything going on around them, rather than looking at people’s legs. Also, sometimes, I imagine the bustling crowds can be intimidating for little ones. When we head off on epic dog walks, our current carrier of choice is the Little Life Voyager S2, which we were kindly given. It’s really comfy, easily adjustable and, importantly, has plenty of room for the general detritus I feel obliged to cart around these days.Â Â£152.99, Little Trekkers. With this summer not shaping up to be the sunniest, wet weather contingency is a must. Molo’s rainbow range is my favourite, but they’re scarce, so it’s worth looking at Viking Kids, who have colourful options from Swedish company Didriksons and Danish label Elka. H&M and Lindex also offer a good range of designs. Molo rainbow trousers, above,Â Â£16.99, Ziggys. These, naturally, should be teamed with a pair of super-cool wellies. See our ultimate guide for the best on the market. I’m loving this spotty CeLaVi pair. Â£18, Raindrops. If you’re planning on seeing any bands, then ear defenders are vital for children. 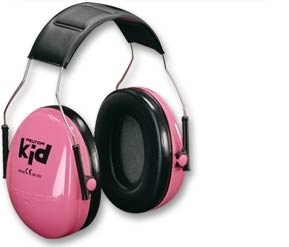 Peltor Kid ear protectors are the most keenly priced at Â£13.95 and come in pink or green. Alternatively, for a wider range of colours, try Ear Defenders for Kids and Baby Banz at Little Sunflowers. Many kids delight at the thought of going without proper washing for a few days, but needs must and if you don’t fancy the inevitable queues for Posh Wash showers or you have a small baby, pack a Â FlexibathÂ – a genius folding bath that comes in a rainbow of jellybean colours. Â£34.95, Back in Action. For the showers, I usually have a small roll up bathmat in the campervan – try Ikea or B&Q. Bathing or not, wet wipes are the one thing I never go to festivals without. Beaming Baby Organic Wipes are biodegrable, great for sensitive skins and Â£2.99 per pack of 72. You’re going to need a lot, so it might be worth trying the bulk offer – buy 11 packs and get one free.Â Festival toilet trips are not well-known as joyful experiences, but I have to Camp Bestival loos are surprisingly not too grim – there was even loo roll and hand sanitiser on the final day last year. However, I do recommend always carrying a pack of tissues and some antibacterial hand spray just in case. 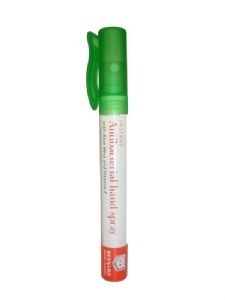 This Reynard ‘pen’ is a super-handy size and contains aloe vera and vitamin E to soften skin. 79p, Funky Leisure. An alternative option for toddlers is to take a potty and if you’re going to do this then My Carry Potty is the obvious option – ideal for avoiding those torchlit trips with little ones. Â£20.50, Natural Baby Shower.Â Read Nat’s take on it here. Fingers crossed, the remainder of the summer will be scorchio, but that throws up another set of problems for mini festival goers. It goes without saying that you’ll need lashings of suncream, a UV suit (try Boden) and a sunhat. I’m loving this one from Toby Tiger,Â Â£14. You’ll also need to pack a pair of sunglasses – it’s vital to protect eyes from an early age. Luckily, there are loads of cool designs for kids out there, so it shouldn’t be too hard to persuade your offspring to wear them. Zoobug is generally considered the best on the market – snap up this vintage-inspired pair forÂ Â£29 from Loveiwear. Other than that, don’t forget a mini first aid kit, favourite toy, games in case of rain, emergency snacks and, if you’re going to Camp Bestival, medieval fancy dress. I compiled a best of last week, but I’ve since discovered Complete Knight, which is a treasure trove of goodies. The most important things though are a relaxed attitude and large dose of unselfconsciousness. See you in the pampering field.